When you need surgery, it can be a stressful and emotional time for you and your loved ones. At Salem Medical Center, we provide comprehensive surgical care, advanced technology and knowledgeable and experienced surgeons. Our skilled teams work closely with patients, families and their primary care doctors to answer questions and address concerns. At Salem Medical Center, our focus is on patient safety, care and comfort. Your day and time of surgery admission are scheduled in your physician’s office, where a physical examination, consent for surgery and pre-surgical tests are ordered or completed. Pre-admission testing (PAT) is also routinely required for most patients before the day of surgery admission. If so, someone from our pre-admissions office will call you three or more days prior to your scheduled surgery and schedule you to come to the hospital for any blood work, EKG or x-rays that need to be completed. During PAT you will also speak with a nurse who will perform an admission assessment and provide pre-op instructions. If an anesthesiologist is available, he or she will also speak with you concerning your sedation needs. In the event you become ill prior to surgery, call your physician so that they may determine if there is a need to reschedule your procedure. Your physician will advise the hospital if they decide to cancel your surgery. On arrival, please park in the visitor parking lot. You may enter through the front lobby doors, which open at 6 a.m. After entering go to the left where the Outpatient Registration/Admissions Office is located, sign in and let the office staff know you are there for surgery. After registration is complete, you will be directed to the same day surgery area. If the patient is a minor (age 18 or younger), he or she must be accompanied by a parent or guardian who can sign the consent for surgery form and also be available to give the anesthesia department a brief medical history for the patient. On the day of surgery, visiting hours are flexible to allow additional time for family members to visit both before and following surgery. For your family’s comfort, there is a waiting room in the same-day surgery unit near the operating room. 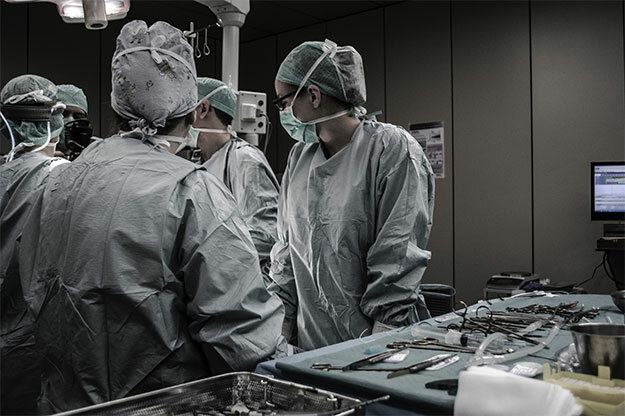 All patients are brought to the operating room about 30 minutes before their surgery is scheduled. You will wait in a holding area until your operating room staff is ready. If you are having general anesthesia or sedation, your anesthetist will start your IV and will remain in the operating room during surgery to continually monitor your blood pressure, heart rate, breathing and other vital signs. Following surgery you will be taken to the recovery room (also known as the PACU) where the nurses and anesthesia department will watch you carefully as you wake up from anesthesia. You will probably stay in the PACU at least one hour, but it may be longer depending on the kind of surgery you had and your individual condition. When you are awake and your vital signs are stable, a member of the nursing staff will prepare you for discharge.